According to a new preliminary study by the University of Texas MD Anderson Cancer Center, male infants born to mothers exposed to radiation in early pregnancy may suffer from increased risk of testicular cancer later in life. The preliminary study was completed on mice and published in PLoS ONE. The study, though completed on mice, plays an important part in cancer research because previous studies focused mostly on the possible cause of cancer being related to endocrine disruptors, among other causes but not environmental factors. This study, however, links cancer to environmental causes. The American Cancer Society claims more than 8,000 new testicular cancer cases are reported each year. If exposure to radiation could be the cause of any of these new cases, new guidelines could be established for pregnant women warning them of the possible link between certain forms of cancer and radiation exposure. Researchers involved in the study did not start out looking for an environmental cause of cancer. They were attempting to learn more about endocrine disruptors. However, during the course of the study, female mice were given radiation in the middle of their pregnancies, in some cases. When radiation was administered, 100-percent of the offspring eventually developed testicular cancer. 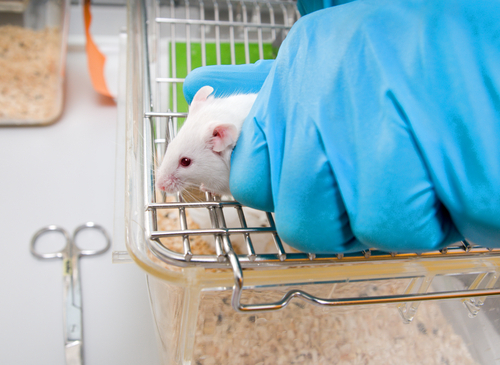 Only 45-percent of the infant mice born to mothers not exposed to radiation developed testicular cancer. While there has been great focus on reducing radiation exposure during pregnancy, researchers believe other environmental factors may also play a role in testicular cancer and other forms of cancer. According to Marvin Meistrich PhD, “Although radiation exposure of pregnant females has been declining and is unlikely to be responsible for this increase, we intend to follow this up with studies of DNA-damaging chemicals found in cigarette found in cigarette smoke and air pollution.” Other studies on the horizon, include other DNA-damaging factors like chemotherapy drugs. No further information on when human studies will begin is included with the research report. Source: Gunapal Shetty, Paul B. Cornish, Connie C.Y. Weng, Angabin Matin, Marvin L. Meistrich. PLoS ONE. 13 February, 2012.